Kohki Fujikawa, Akihiko Koizumi, Masakazu Hachisu, Akira Seko, Yoichi Takeda and Yukishige Ito. Construction of a High-Mannose-Type Glycan Library by a Renewed Top-Down Chemo-Enzymatic Approach. Chem. Eur. J. 21, 3224-3233, (2015). Fang Zhang, Mominul M.Hoque, Jiandong Jiang, Kaoru Suzuki, Masaru Tsunoda, Yoichi Takeda, Yukishige Ito, Gota Kawai, Haruo Tanaka and Akio Takénaka. The Character. ChemBioChem 15, 2766-2773, (2014). Masafumi Sakono, Akira Seko, Yoichi Takeda, and Yukishige Ito. PDI family protein ERp29 forms 1:1 complex with lectin chaperone calreticulin. Biochem. Biophys. Res. Commun. 452, 27-31, (2014). Shogo Iwamoto, Yuta Kasahara, Ken-ichi Kamei, Akira Seko, Yoichi Takeda, Yukishige Ito, and Ichiro Matsuo. Measurement of endo-α-mannosidase activity using a fluorescently labeled oligosaccharide derivatives. Biosci. Biotech. Biochem. 78, 927-936, (2014). Masafumi Sakono, Akira Seko, Yoichi Takeda, Jun-ichi Aikawa, Masakazu Hachisu, Akihiko Koizumi, Kohki Fujikawa, and Yukishige Ito. Glycan specificity of a testis-specific lectin chaperone calmegin and effects of hydrophobic interactions.Biochimica et Biophysica Acta (BBA) - General Subjects 1840, 2904-2913, (2014). Jun-ichi Aikawa, Yoichi Takeda, Ichiro Matsuo, and Yukishige Ito. Trimming of glucosylated N-glycans by human ER α1,2-mannosidase I.J. Biochem. 155, 375-384, (2014). Yoichi Takeda, Akira Seko, Masakazu Hachisu, Shusaku Daikoku, Masayuki Izumi, Akihiko Koizumi, Kohki Fujikawa, Yasuhiro Kajihara, and Yukishige Ito. Both Isoforms of Human UDP-glucose:glycoprotein Glucosyltransferase are Enzymatically Active.Glycobiology 24, 344-350, (2014). A. Koizumi, I. Matsuo, M. Takatani, A. Seko, M. Hachisu, Y. Takeda, Y. Ito. Top-Down Chemoenzymatic Approach to a High-Mannose-Type Glycan Library: Synthesis of a Common Precursor and Its Enzymatic Trimming. Angewandte Chemie. 52, 7426-7431, (2013). Takeda, Y., Seko, A., Sakono, M., Hachisu, M., Koizumi, A., Fujikawa, K., Ito, Y. Parallel quantification of lectin-glycan interaction using ultrafiltration.Carbohydr. Res.375, 112-117, (2013). a folding sensor enzyme in the ER, delineated by synthetic probes. BBRC, 426, 504-510, (2012). Ito, Y. & Takeda, Y. Analysis of glycoprotein processing in the endoplasmic reticulum using synthesis oligosaccharides. Proc. Jpn. Acad., Ser. 88, 31-40, (2012). Takeda, Y., Totani, K., Matsuo, I. & Ito, Y. Chemical approaches toward understanding glycan-mediated protein quality control. Curr Opin Chem Biol 13, 582-591, (2009). Takeda, Y., Shimada, N., Kaneko, K., Shinkai, S. & Sakurai, K. Ternary complex consisting of DNA, polycation, and a natural polysaccharide of schizophyllan to induce cellular uptake by antigen presenting cells. Biomacromolecules 8, 1178-1186, (2007). Takeda, Y. & Horito, S. Synthesis of alpha-series ganglioside GM1alpha containing C20-sphingosine. Carbohydr. Res. 340, 211-220, (2005). Takeda, Y. 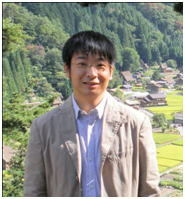 & Matsuo, I. Isothermal Calorimetric Analysis of Lectin–Sugar Interaction. Lectins 1200, 207-214, (2014). Ito Y, Takeda Y. Deciphering the Roles of Glycan Processing in Glycoprotein Quality Control through Organic Synthesis. Biosci Biotechnol Biochem. 77, 2331-2338, (2013).